The pop up display system is the perfect portable exhibition piece. With Self-locating ‘smart’ magnetic locking arms that attach to an aluminium framework, this pop up system couldn't be easier to put together. We supply with halogen lights and a hard wheeled case which also doubles as a podium. 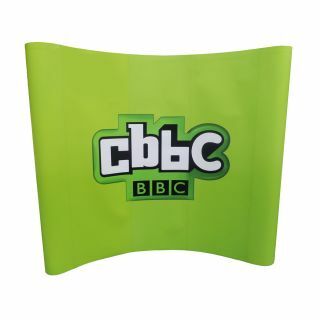 Available in a variety of sizes and set ups, for a professional looking display that is ideal to comfortably transport from event to event without the need for devoted stand contractors or set up tools. With a choice of straight or curved structures, and widths ranging from 2.55m to 5m, there is a solution ideal for you. 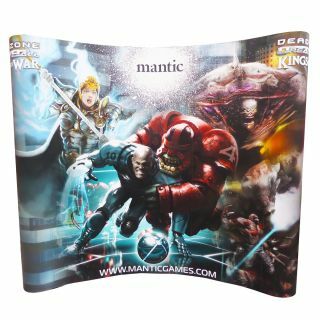 All of our pop up stands have easily changeable graphic panels, meaning you can use the same display with ever changing artwork, without the need to invest in a new system, making for a cost effective and professional looking display piece. 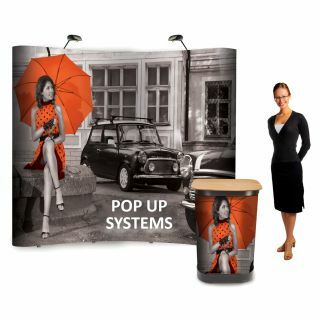 Do you supply replacements for the Pop Up System?